For many years the most-often cited alternative to Photoshop was GIMP, a powerful, free, tool, but one that wasn’t to everyone’s liking. That has changed drastically over the last year. 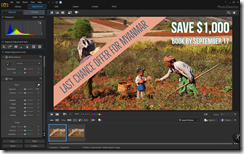 For starters, Adobe’s own Premiere Elements and Photoshop Elements 2019 versions are remarkably full-featured, and not very expensive. We did a hands-on review of them for ExtremeTech. Cyberlink has also upped its game with an aggressively priced new Cyberlink Director Suite 365. One impressive new competitor to Lightroom is Luminar from Skylum (formerly MacPhun). What I’m really looking forward to from Skylum is the soon-to-be-released, somewhat-delayed, version of Luminar that will extend it to include image cataloging. 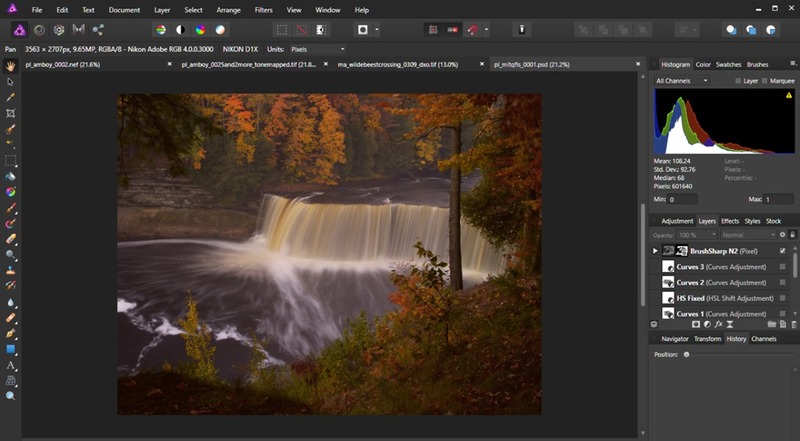 It’s hard to believe, but it has also been two years since Affinity first brought its photo editor to Windows. 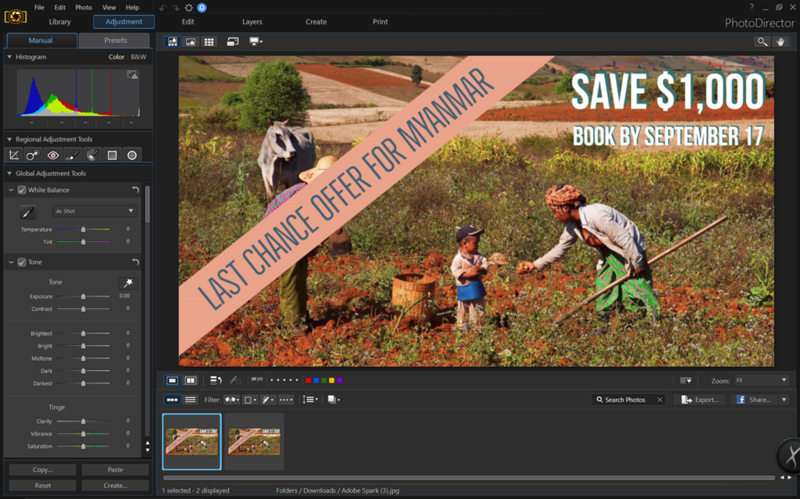 If you’re looking for an all-in-one Photo management and editing package that spans the territory of Lightroom and Photoshop but is integrated and easy to use, Cyberlink’s PhotoDirector is a powerful and reasonably priced option. It competes more or less head-to-head with Adobe’s Photoshop Elements ($80 discounted), so which one you wind up with will depend on the specific features you need and which interface you prefer. If you have the time, I recommend trying them both out. The 9th Edition of PhotoDirector is now out ($99 for Cyberlink Photo Director 9 Ultra), with some impressive new features. 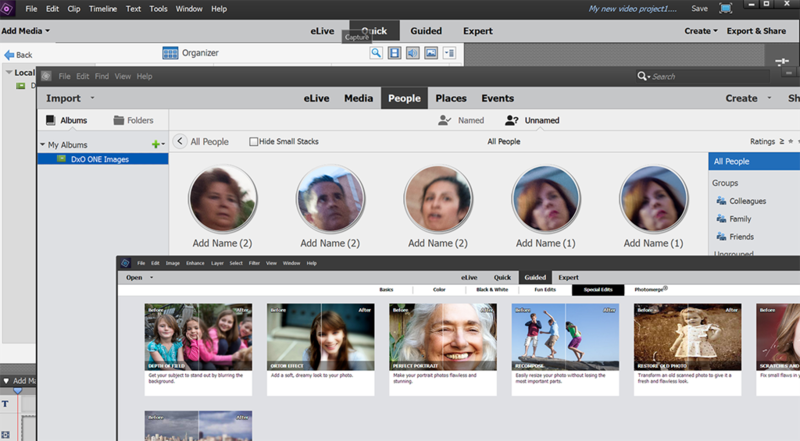 It has support for 360-degree video editing (which is nearly impossible to do without application support), can create some of the now-popular output formats like timelapse, motion stills, and animations, and has content-aware move. It’s also picked up a Dehaze tool, a feature I’ve found very useful in Photoshop and OpticsPro both.